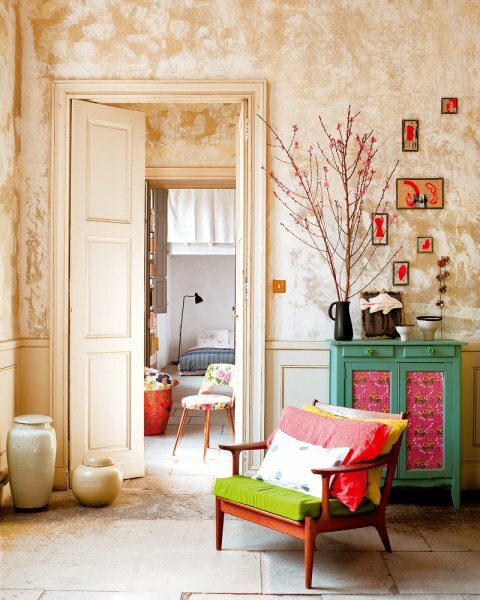 Mix and Chic: Home tour- A cheery and cozy apartment in Nimes, Paris! 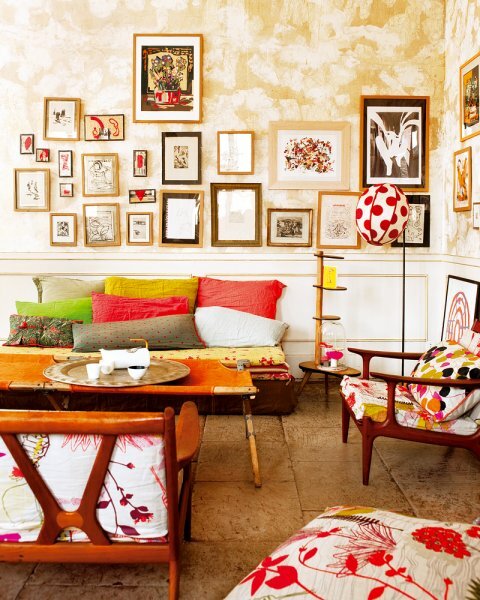 Home tour- A cheery and cozy apartment in Nimes, Paris! This apartment building was constructed in 1835, belongs to Myriam and Dominique, both creative individuals that they shared with their two daughters, Zoe and Alix. They fell in love with this apartment for its high ceilings, large windows and its rooms in a row when their family landed in Nimes, Paris ten years ago. Many of the decorative objects such as old silk quilts and pillowcases were made by Myriam, a reflective of her love for colors and textiles. 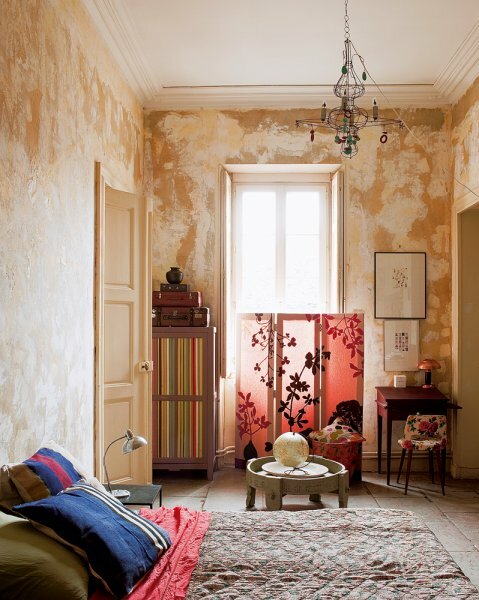 This cozy, charming and colorful home truly defines the meaning of eclectic shabby chic. 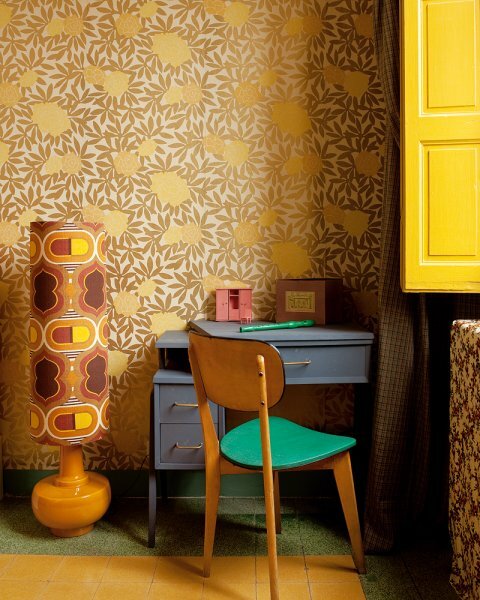 Nothing in this home feels contrived, just large doses of personality and creativity. If this is my home, I will constantly feel inspired to be more creative. What are your thoughts? Do you have a favorite element? I love that screen in front of the window in the 4th photo! Where can I find one? 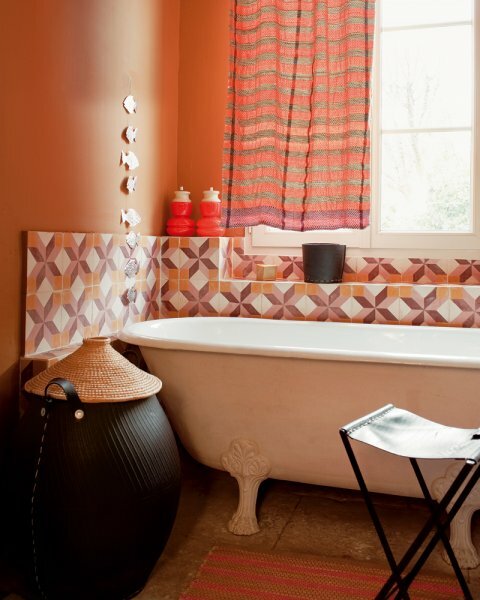 Always loved this space - the tiles in the bathroom are great! Hello Jessie, Oh this is just right up my street - I love this place - my fave has to be the 1st and 2nd shot - just cool. How do they do that? Make everything feel so relaxed and cozy. Makes my want to go over and snuggle up with a glass of wine! Such a creative, family-friendly home. Thanks for sharing, Jessie! I love it! It feels so quirky and chic. M.
Good morning Jessie, What a fun house. Creative, funky and artistic. Thanks for emailing me the info I asked about. Love your blog. I love that library...it may not even be a whole room, just that one corner, but it's so eye-catching. 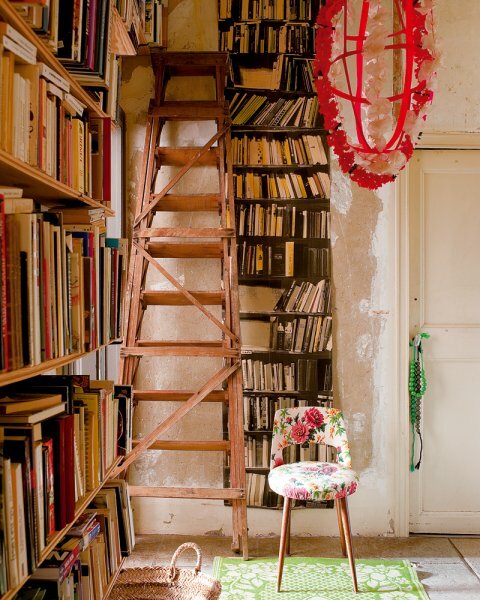 I love the ladder hung between the two sections of books, mimicking the look of the shelves. 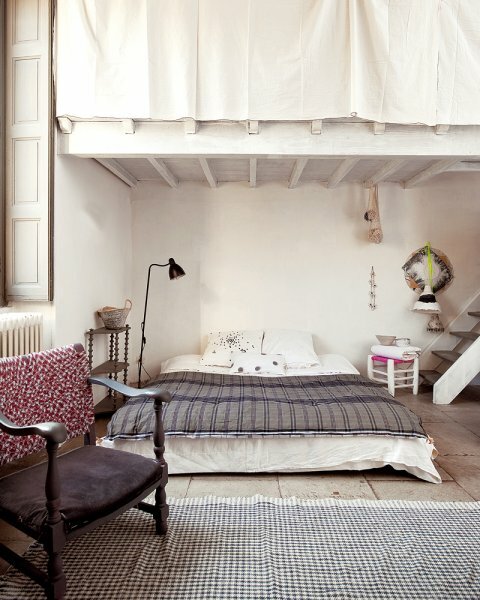 And I like that she kept that corner from looking too masculine by adding in the super girly chandelier and chair. What a neat space! Ow yea, this is so right up my alley. I love the choice of fabrics. I think it's linen and cotton, yes? They feel casual, yet luxurious, yet cheerful!